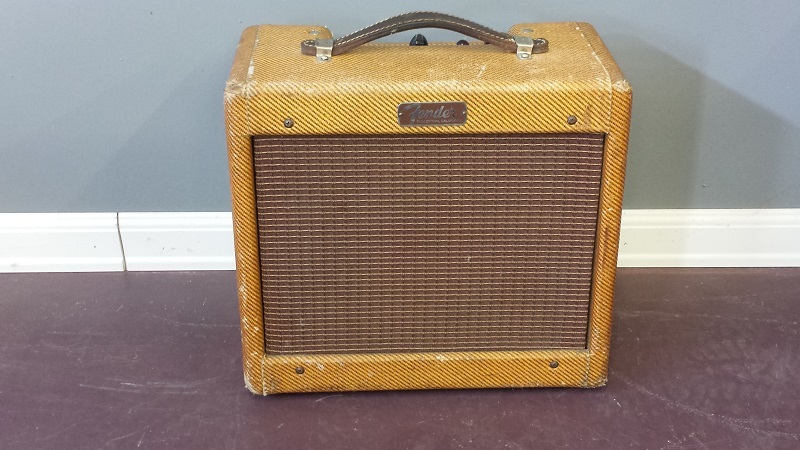 A very cool 1958 Fender tweed Champ came into my shop for a service and capacitor replacement. these little amps are beasts! 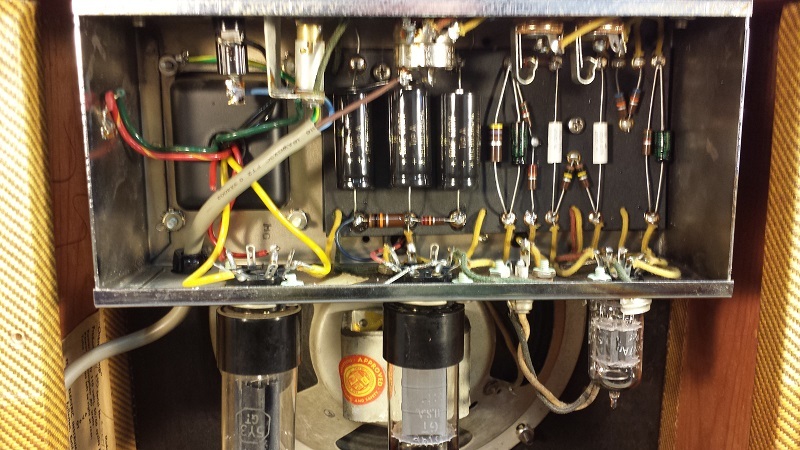 With a fresh set of NOS tubes and new capacitors this little guy sounded amazing. Of course I replaced the original 2 prong AC cord with a modern (grounded) 3 prong type. 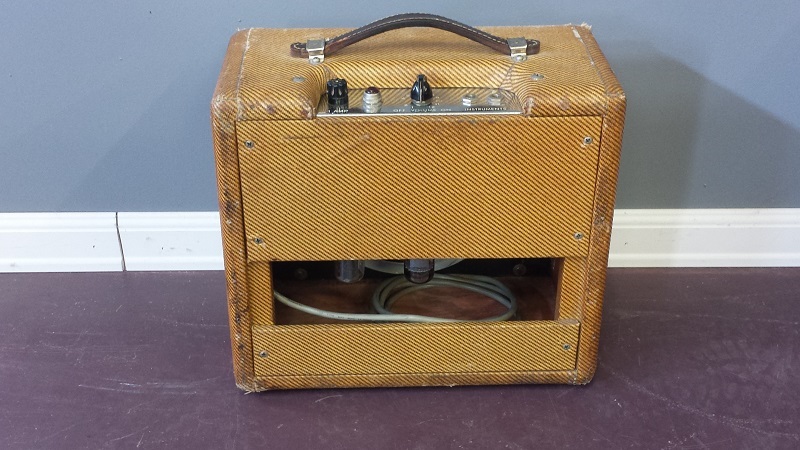 Everything you would expect from a late 50’s era tweed Champ. Grrrrrowl! !